This entry was posted in Plants in the Captivity & Restoration and tagged Bible, Bible Gardens, Bible Plants, Garden, Gardener, God, God as a Gardener, Israel, Jerusalem, Jews, myrtle, myrtle trees, Myrtus communis, plants, Restoration of Jews, spirituality, Symbolism: Prosperity., Zechariah. Bookmark the permalink. Now that is Prosperity!!! This world WILL pass away! To be Loved that much is Amazing! I live on Myrtle St. And always wondered it’s symbolism. I think you gave one of the best revelations. The Lord has surely made me prosper and been blessed ever since I moved to my new home. Thanks Jesus for prosperity. Most of the time when we see a reference to Myrtle in the United States, the tree that most individuals have in mind is the crape myrtle which is a beautiful tree. 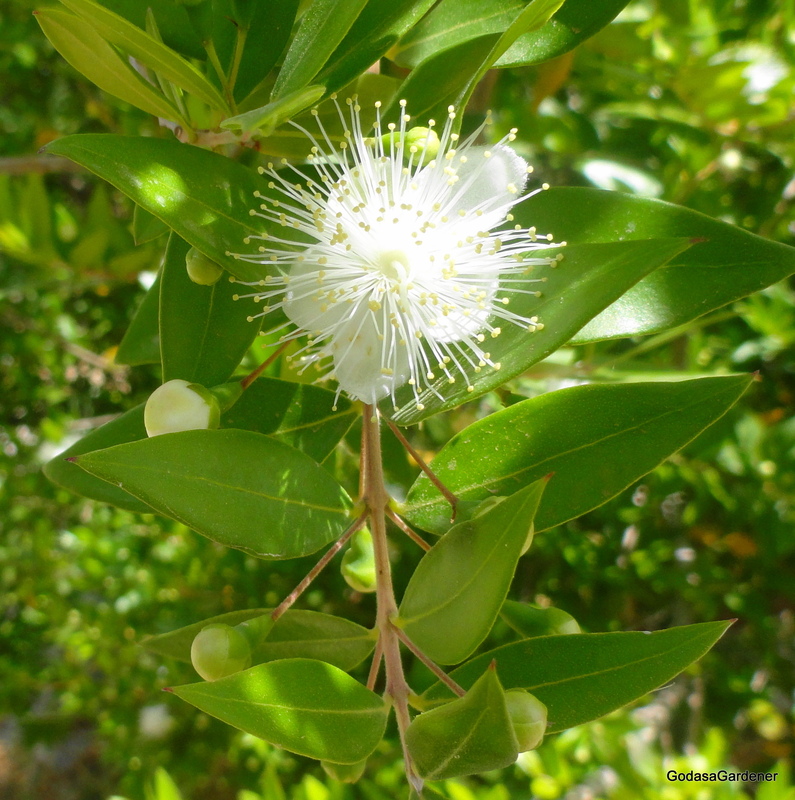 The myrtle tree is Israel and in the Bible is a very different and even more beautiful tree. I was spending time this morning with the Lord and studying Is 55, and verse 13 intrigued me. I wondered why the myrtle tree in place of the briars. This search lead me to your post and I was truly blessed by it. I had just heard my pastor preach a powerful message on prosperity the night before. So amazing how The Holy Spirit works and makes these connects. Thank you. God bless you.